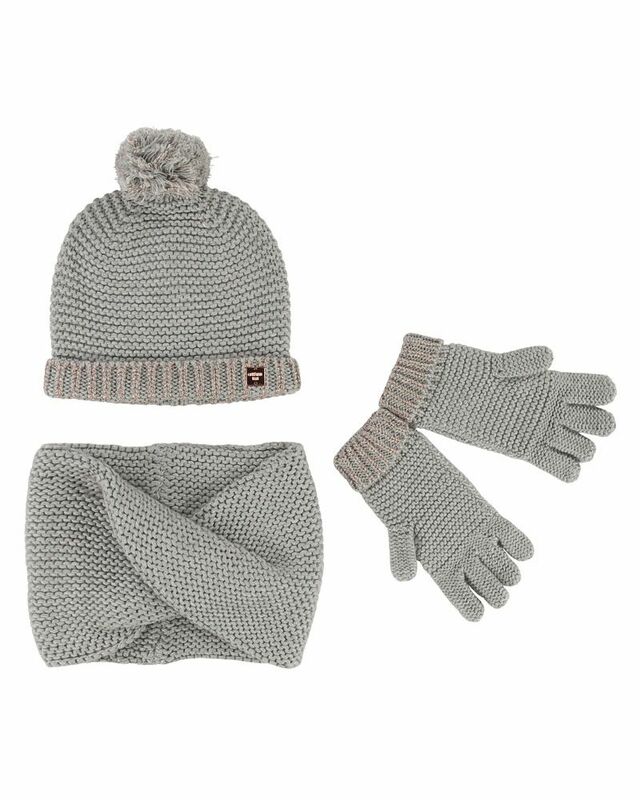 Carrement Beau grey soft knit three piece hat, scarf and glove set. 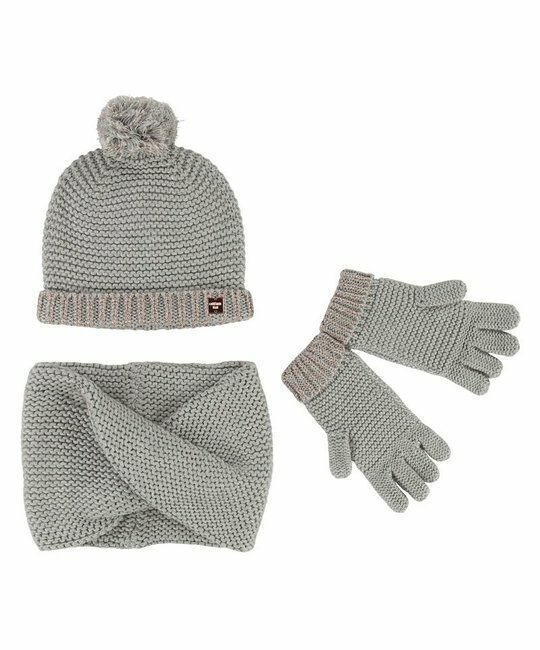 35% Cotton, 30% Viscose, 25% Polyamide, 10% Wool. Imported.